What is cPanel and how to use it? CPanel is a hosting control panel provided to website owners. It is a graphical dashboard with a web based interface allowing to manage websites. The tools provided are designed to simplify running and controlling a website. CPanel is generally accessed using https on port 2083 or simply by adding “/cpanel” to the end of the primary host name or your server name. For example: https://www.srv№.alidropship.com:2083 or https://www.yourdomain.com/cpanel. How to login my cPanel? Open your browser and enter your cPanel link. You will see your cPanel access page. Enter your login, password and click Log in. At the top of cPanel there is a search bar you can use to find sections quickly. On the top right corner of cPanel there is a navigation bar, with Search Features, Account Management, Notifications and Logout option. Below the navigation bar there is a General Information and Statistics sections. In the General Information section you can find your account’s primary domain. Statistics section shows actual account information: disk usage and database disk usage, number of databases, addon domains, subdomains, email accounts, aliases and FTP accounts. What can I do in cPanel? Connect domain names to your hosting. 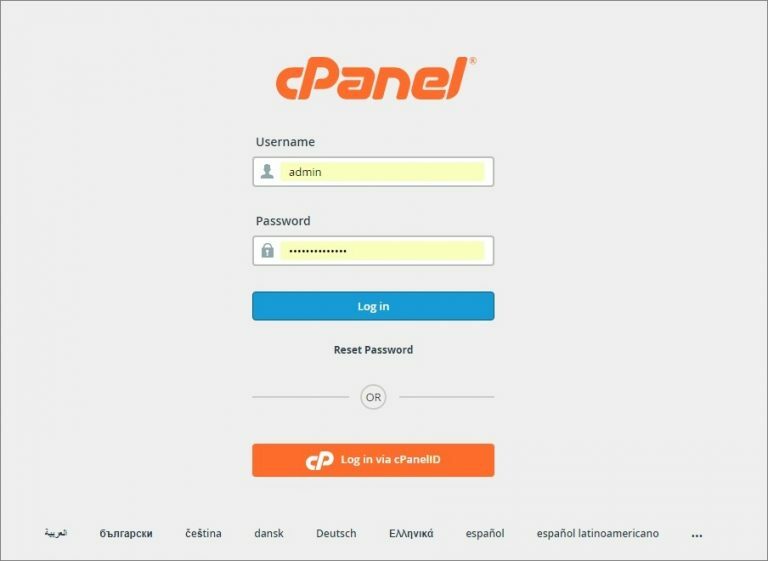 How to change my cPanel password? 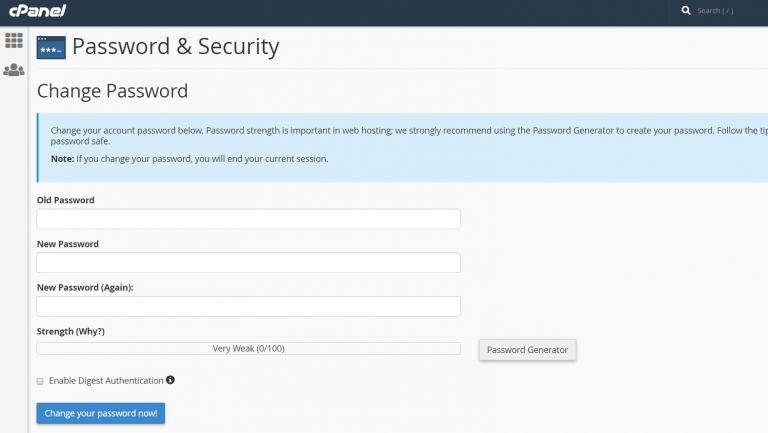 CPanel password can be changed in Preferences = > Password & Security section. You need to enter your old password, a new one and repeat the new one. We recommend using the “Password Generator” to create a strong password. Please, make sure you keep your password in a safe place.